The Jewish Community Center that administers the after school program at Staten Island’s P.S. 65 R hosted a bake sale every Thursday during the month of October and generously donated all the proceeds to Kat’ Ribbon of Hope. We are so very grateful to our young supporters and their school community for raising awareness and donating 100% of their proceeds amounting to $380 to KROH! Thank you JCC of PS 65! Better Body Bootcamp in Little Neck, NY raised $1275 in honor of Kat’s Ribbon of Hope. Fitness regulars at BBB in the NY area came together to work out and sweat for a cure. We couldn’t be more thankful to our supporters! The student council of the Green Vale School donated all proceeds from October 2016 bagel sales to KROH. Thank you to these young philanthropists for their continued support! They raised $715.00!! St. Constantine and Helen 6th, 7th and 8th grade Parochial School students in Brooklyn, along with their principal Mrs. Maria Zolotas, raised $612 for Kat’s Ribbon of Hope. Students wore pink shirts to school and appealed to parents, family and friends for donations. We are grateful to our young philanthropists for raising awareness! Thank you! In October 2015, students of the Green Vale School in LI donated proceeds from weekly bagel sales to the Kat’s Ribbon of Hope Foundation. A total of $430 was raised! 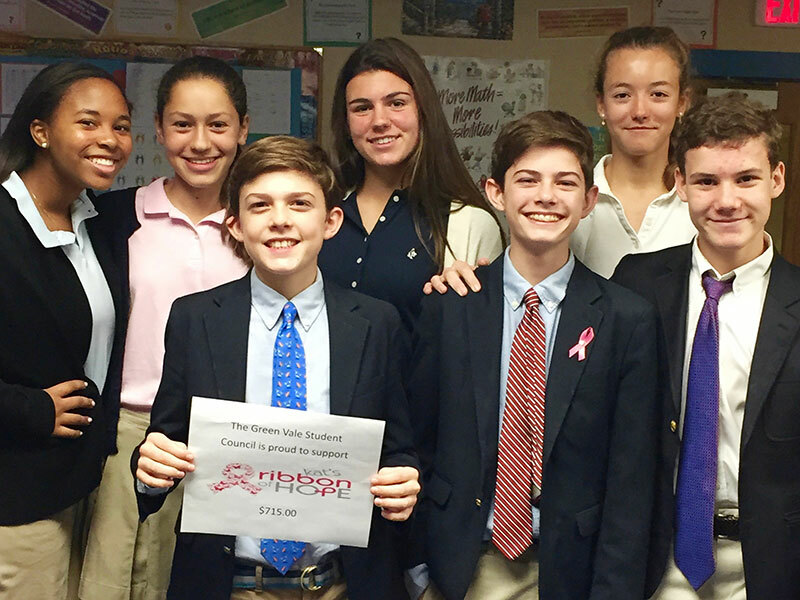 Thank you to these young philanthropists for raising awareness and funds for breast cancer! 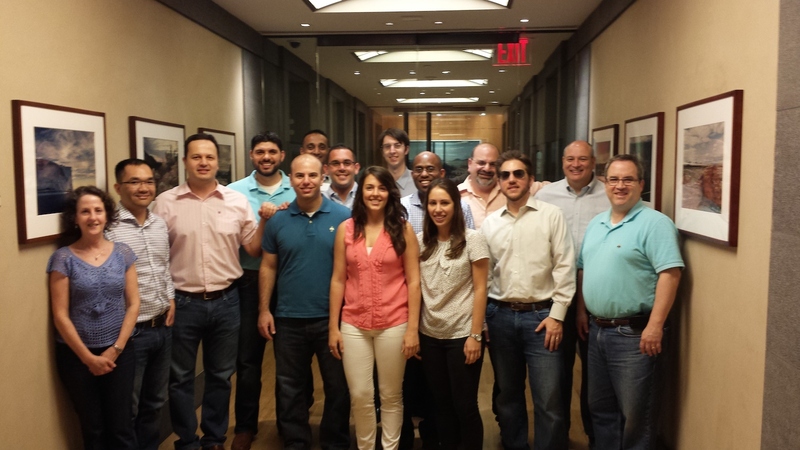 On the last Friday of every month Assured Guaranty’s Manhattan office offers a “Jeans for Charity” day on which employees can wear jeans and make a donation to charity. All funds raised by employees are matched by the company. This past month an Assured Guaranty employee nominated Kat’s Ribbon of Hope. Employees raised $1,500 with Assured Guaranty matching that amount for a total of $3,000. Thank you Assured! 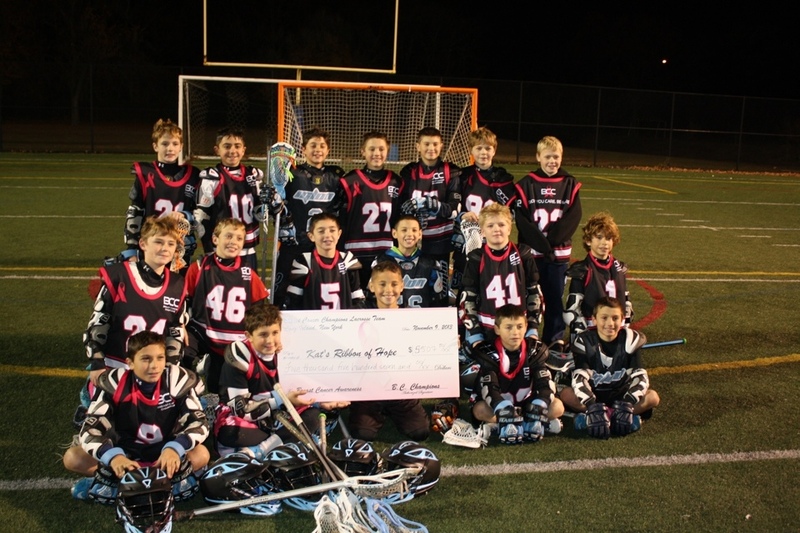 Local 5th/6th Grade Boys form Lacrosse Team Breast Cancer (BC) Champions Raised $5500 and Awareness for Breast Cancer. The boys raised the funds by asking family and friends to pledge a dollar amount for every goal scored by the BC Champions. The proceeds were donated to Kat’s Ribbon of Hope Foundation. Thank you to these young warriors who are helping us battle breast cancer and giving back to the community.